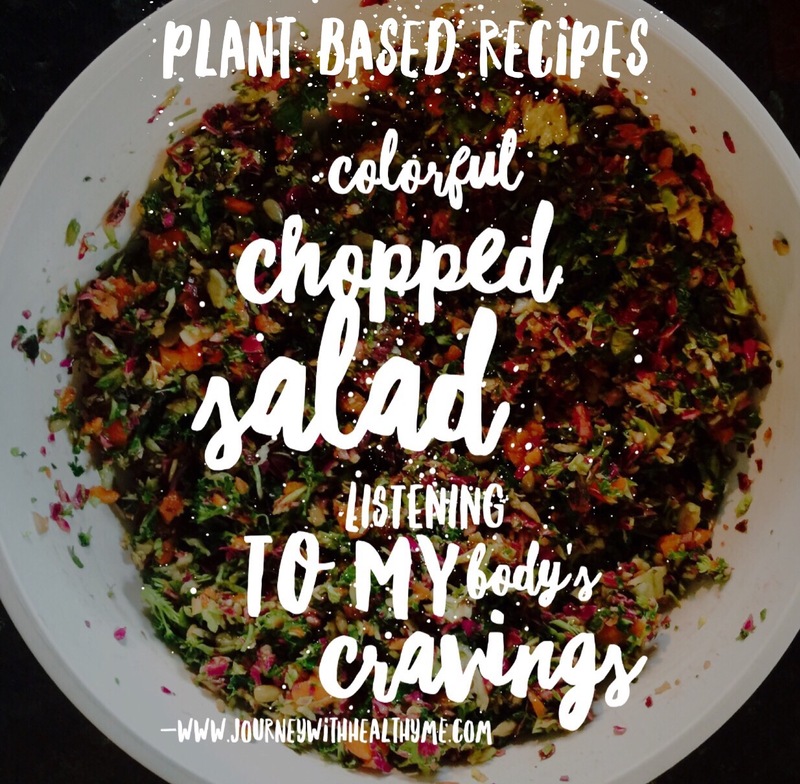 Recently I was inspired to try out a new recipe, following the promptings of my body. I’ve been craving dark green veggies. Healthy cravings are indicators that my body needs something, as opposed to addictions, such as to sugar, when my body wants something. I’ve been eating a healthy plant based diet long enough to have eliminated the food addictions. When my body desires something now, I can trust that it is going to be good for me. 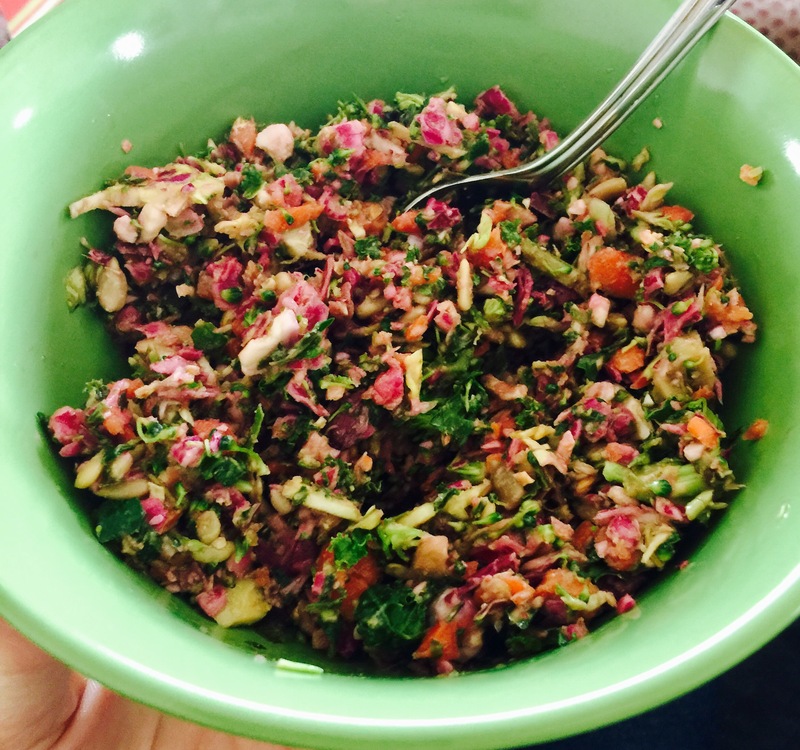 Browsing through Pinterest recipes, I found this colorful detox salad, from Eat Yourself Skinny. I processed the veggies in two batches, Brussels sprouts, broccoli and kale first, and then the red cabbage, carrots and parsley. 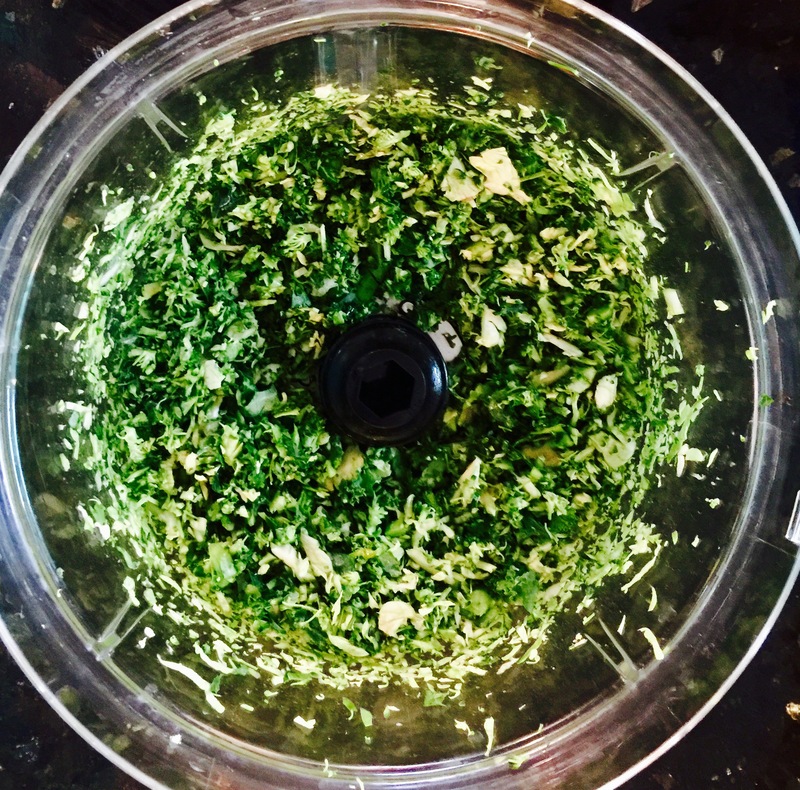 A food processor made quick work of finely chopping the veggies and almonds. 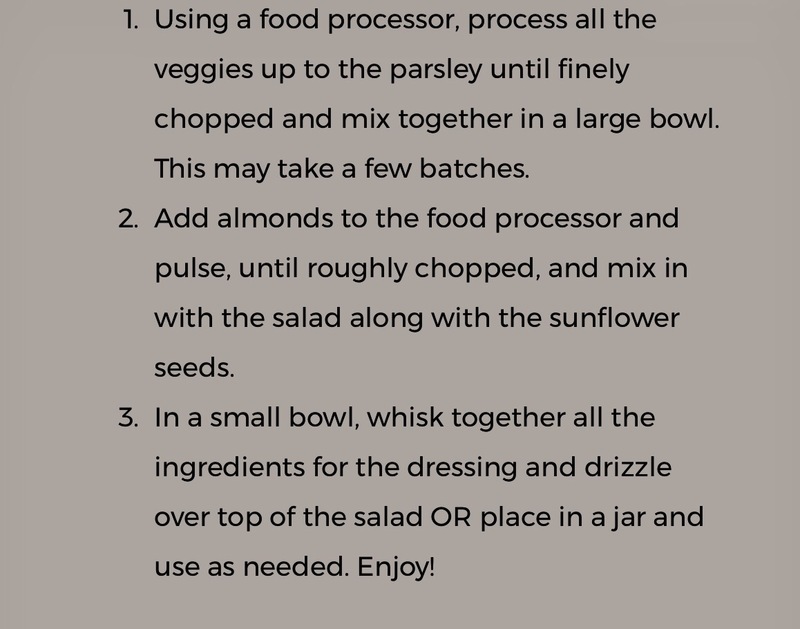 I added the chopped almonds and sunflower seeds and then whisked together the ingredients for the salad dressing. I omitted the fresh ginger, since I didn’t have any, and increased the raw honey to 4 teaspoons. 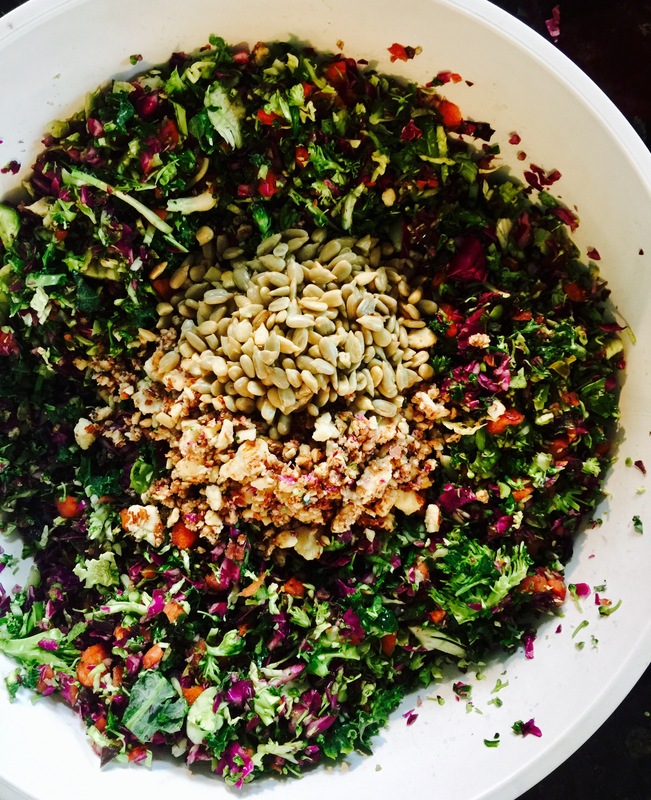 The recipe creates a beautiful salad, full of fresh ingredients and health boosting benefits. Broccoli is a powerful antioxidant and anti-inflammatory, full of vitamins, minerals and fiber. It supports the immune system, fights diseases including cancer, and aids in digestion and detoxification. Brussels Sprouts are a great source of protein, vitamins and minerals. They have antioxidant and anti-inflammatory properties, support heart health and lower the risk of cancer. Kale is high in protein and fiber, vitamins and minerals. It too supports heart health, lowers cancer risks and aids in digestion, and can even reduce pain. Red Cabbage is one of the most powerful disease fighting foods avaiable. High in vitamins and minerals, red cabbage heals the gut, and maintains eye and bone health. Carrots are a good antioxidant root vegetable, full of vitamins and minerals. They reduce the risk for cancer and slow down the aging of cells. Parsley alkalizes the body, driving out acidity, which creates an environment for disease to occur. This herb pulls herbicides and pesticides from the body. Almonds and Sunflower Seeds not only provide a satisfying crunch to this salad, they also have antioxidant properties and healthy fats. This colorful salad was so delicious and satisfying. I like that rather than containing a lot of lettuce filler, the salad is made up of vegetables, nuts and seeds, all of which help to stave off hunger. I am grateful for the inspiration that came from my own cravings, leading me to search for the perfect combination of foods. 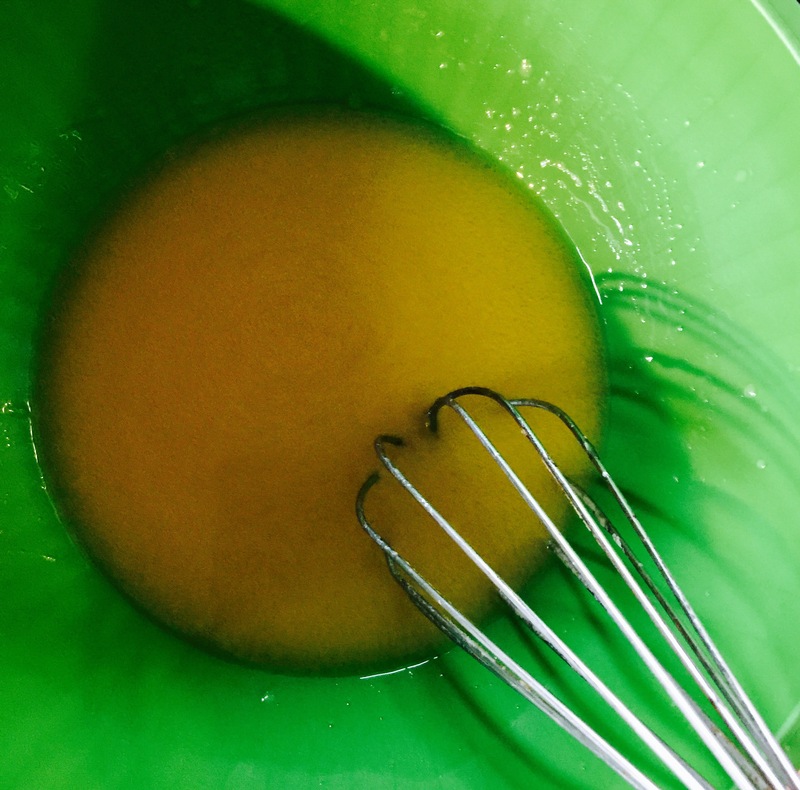 The recipe makes a large bowlful of goodness and I am grateful for that as well. 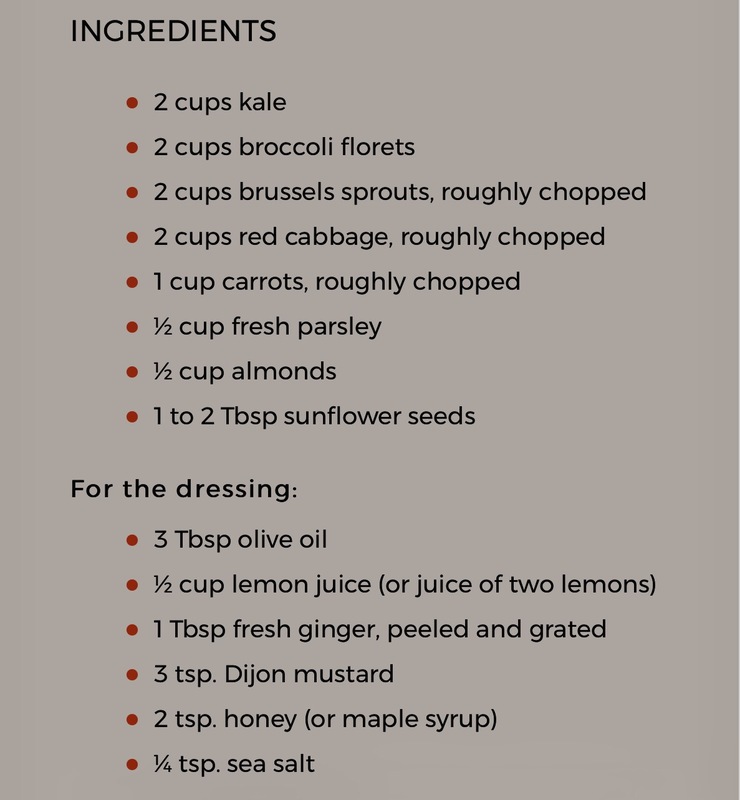 I will be enjoying my chopped veggies with honey dijon mustard dressing all week! 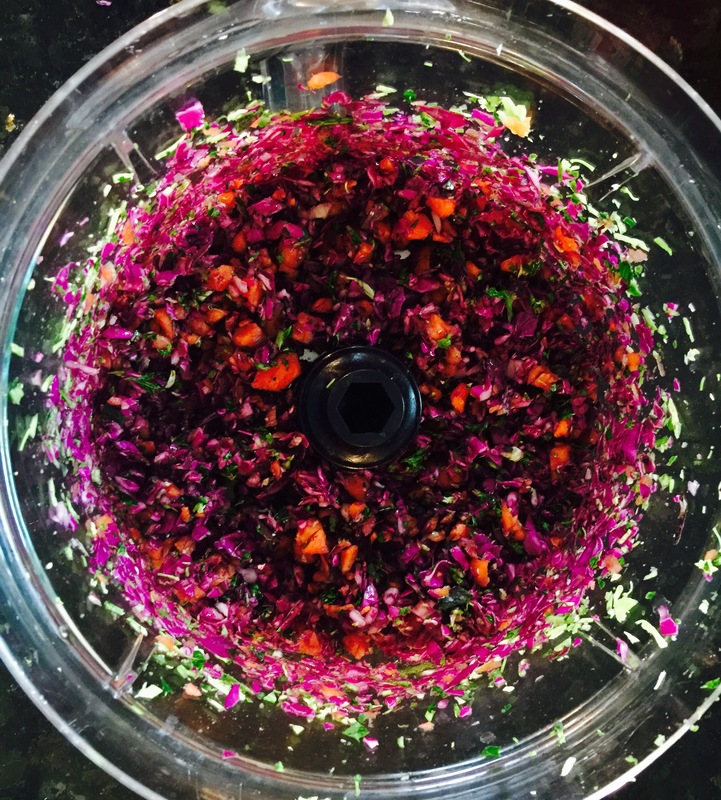 This is the food processor I use, making food prep fast and easy!